Thanks for Paying Attention, SF! Maybe you thought your watch was slow today. The clock struck noon and there was something missing. Five minutes later you remembered—there it was, the sound of San Francisco’s Outdoor Public Warning System (OPWS). OPWS has been around since 1942. Recently during testing we have experienced issues with the aging hardware and software which have required technical intervention to restore full functionality. To address these issues DEM is planning upgrade both the hardware and software for the OPWS in the next fiscal year. 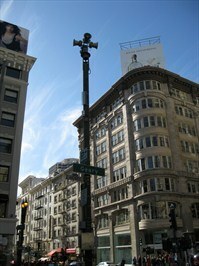 The upgrade will allow the sirens to continue to stand guard over San Francisco now and into the future! While many of us have come to expect the OPWS to sound every Tuesday at Noon, it is important to remember that San Francisco uses many tools to provide emergency information to residents, commuters and visitors. For those socially connected, we provide emergency information on Twitter. Follow us on @SF_Emergency. You can also go to www.alertsf.org to sign up for text and e-mail emergency alerts and information. The Emergency Alert System (EAS) is another system can use to share information on your television or on the radio. Aligning with some of the most recent (and exciting) developments in public alerts and warning, DEM is participating in the new federal Wireless Emergency Alert system, which allows the department to provide life safety information directly to the cell phones of anyone physically located in San Francisco, whether or not they live here. To learn more about this system, check out a previously posted blog on the topic: Something New in Mobile Alerts: CMAS. In addition to having multiple platforms for sharing information, it’s also important for everyone to do simple things to get prepared. Go to 72hours.org for easy ways to help prepare and plan so you can take care of yourself, your family and your neighborhood no matter what the emergency. Thanks to all who checked in with us about the sirens, and most important—thanks for paying attention! This DEM Blog comes to us from San Francisco Department of Emergency Management (DEM)’s Executive Assistant for Policy and Legislation, Amiee Alden who attended the 7th annual National Homeland Security Conference in Los Angeles, CA. The theme for the conference was: Homeland Security Begins with Hometown Security. 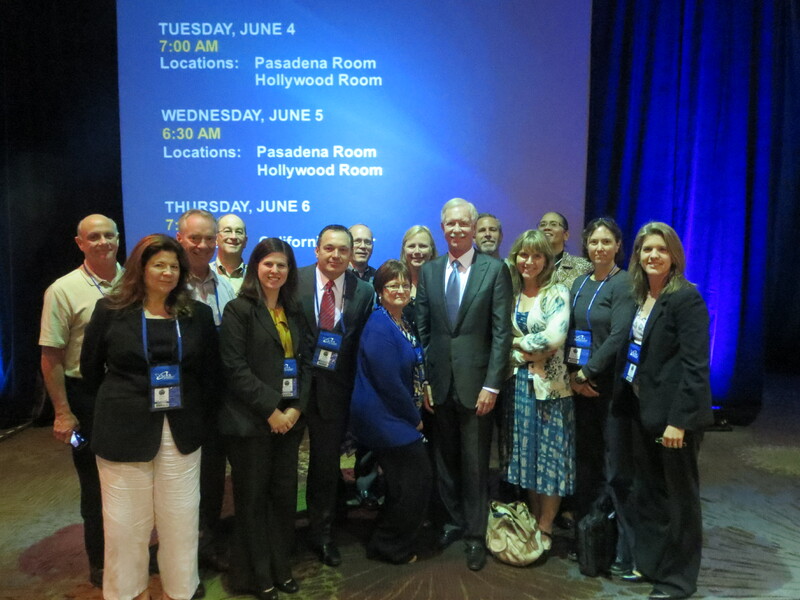 DEM and the Bay Area Urban Area Security Initiative (UASI) traveled to L.A. last week to meet our fellow emergency managers from around the nation and hear from national and international experts at the annual National Homeland Security Conference. One of the highlights was hearing former US Airways Captain Sully Sullenberger discuss the importance of relationships, trust, and leadership, especially in crisis situations. We were proud to meet him afterwards. The Bay Area UASI team pictured with Captain Chesley Sullenberger (“Captain Sully”), the US Airways pilot known for safely landing his aircraft on the Hudson River. We also met with the new head of the FEMA Grants Program Directorate, Brian Kamoie, to discuss the important role that FEMA grants play in helping San Francisco to prepare for, mitigate, respond to, and recover from emergencies. 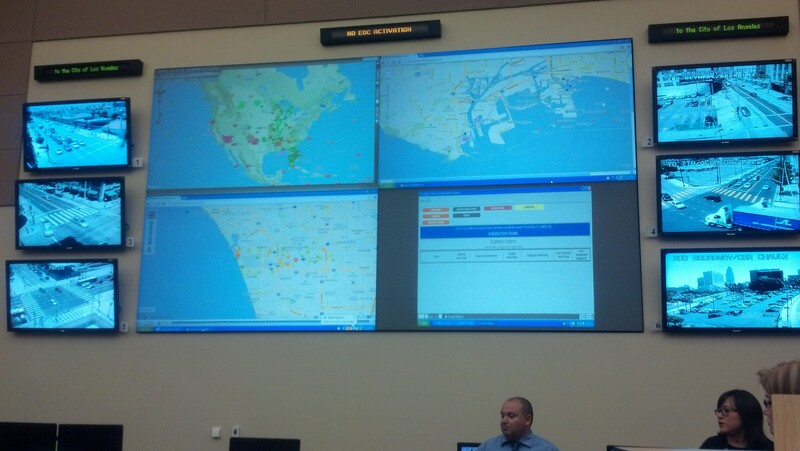 We visited L.A.’s Emergency Operations Center (EOC), which looks a lot like San Francisco’s, but with a few differences. A notable one is the screens at the front of room running live video feed from camera locations around the city in order to improve situational awareness. Their EOC also includes a dedicated “Business Operations Center” where reps from manufacturing, retail, the faith-based-community, and other groups can share information and resources with the city during an emergency. 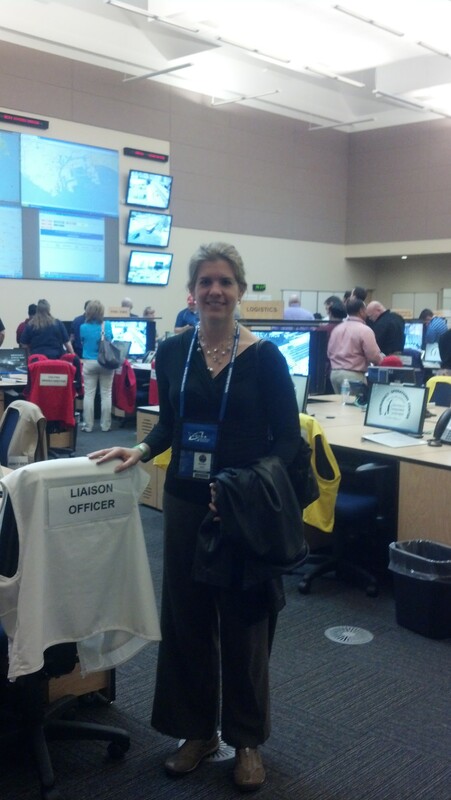 Amiee Alden, DEM Executive Assistant to Policy and Legislation visiting the L.A. EOC. 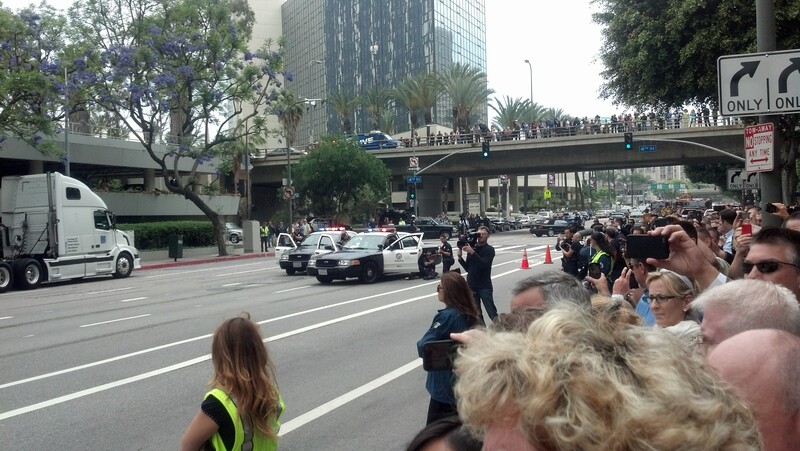 Of course, no trip to L.A. would be complete without a dose of Hollywood, brought to us this time by the LAPD. Our friends in blue presented a truly impressive demonstration in the street in front of the conference hotel that included: (fake) gunfire between LAPD and multiple (fake) terrorists; deployment of the SWAT team via fastrope from a Sheriff’s Department helicopter; use of an armored truck to deliver more SWAT team members; use of a bomb-removal robot to remove a suicide vest from a (fake) terrorist and BATCAT to remove a truck loaded with a (fake) bomb from the street; as well as use of several very LOUD flash-bang grenades and multiple rounds of (blank) ammunition—all dramatically narrated by a local radio personality. 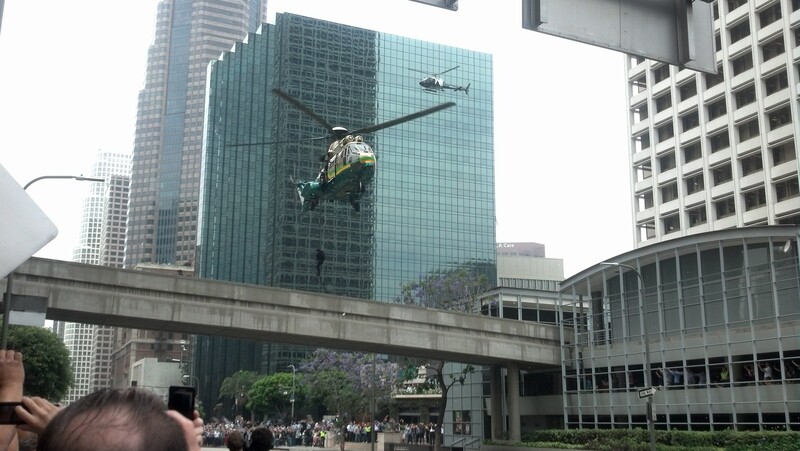 The LAPD demonstrating its capabilities to respond to a staged terrorist attack. 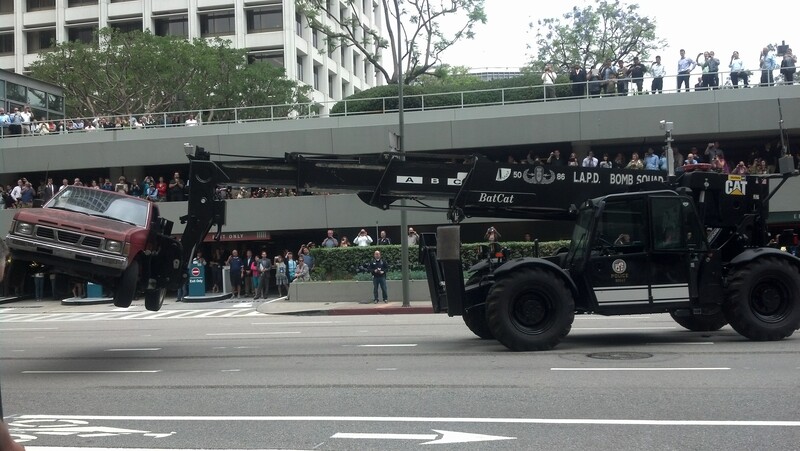 The LAPD demonstrating its capabilities to respond to a terrorist attack. The conference had sessions on many topics including lessons learned from the Boston bombings, emergency management at large sporting events, grants management, fire science, information sharing—all designed to help us to enhance our skills and develop new relationships that will improve emergency management in San Francisco.